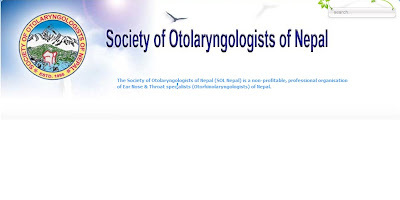 It gives us immense pleasure to invite you to this beautiful country to attend the 7th SAARC ENT Congress going to be organized by the Society of Otolaryngologists of Nepal (SOL Nepal) from 25th to 27th May 2011 in Kathmandu,Nepal. A galaxy of international and national faculty members are expected to confirm their participation offering their expertise on a wide variety of scientific and practical management of topics. More than a thousand specialists are expected in the conference. The 2nd SAARC ENT conference was held in the year 2000 here which was a grand success. Our aim is to make it even better and your frank suggestions are most welcome to achieve this goal. A tremendous gap persists between the patient care in developed and the under developed countries. On one hand we talk of the recent advances whereas on the other hand people in this part of the world have not been able to avail even basic medical care. Lack of training centres for the youngsters is another major factor of concern and serious brainstorming is needed to overcome these factors. Hence the theme of the conference "FUTURE ENT, HEAD & NECK SURGERY IN THE DEVELOPING COUNTRIES" sounds very appropriate looking into the current perspectives. The tentative highlight of the conference has been proposed which is subjected to change as per your suggestions. Nepal, the birth place of Lord Buddha, is one of the most sought after tourist destinations in the world. Bestowed with spectacular scenic natural beauty, rich cultural heritage, rich biodiversity and hospitable people, Nepal offers wide ranging attractions to the visitors from all over the world. Kathmandu, the capital city of Nepal is well connected by direct air flights from the various cities of India, Pakistan, Bangladesh, Dubai, Doha, Sarjah, Bangkok, Singapore, Hongkong etc. Please feel free to contact our travel desk for detail information and early booking of your tickets and accommodations. We extend you a very hearty welcome to be our honored guest and be a part of this magnificent event being held at Kathmandu, Nepal.